like (I think it was Oshyan) hinted about..? More images to come, of course. 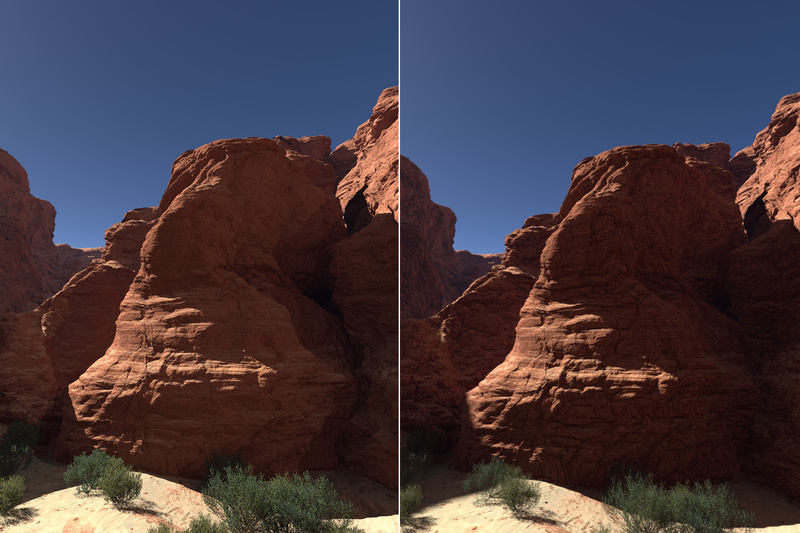 Antoine, the new GI allows for higher detail at equivalent (or lower) render settings. It is comparable to GI Surface Details in TG2 in terms of its general effect, though the results are even better. The key is that it works in a fraction of the time as compared to GI SD. The normal GI prepass still needs to be done, so that part isn't faster, but for quality results the render times are much faster, half the time or less (assuming you would be using GI SD or higher GI detail/sample quality previously). More images and feature details will be shared throughout the coming weeks as we get closer to release, keep an eye on Terragen3.com for updates (or subscribe to the newsletter or RSS). Just changed my pants and now desperately looking for the separate thread. Martin! Richard! Where is it? Show your pictures! Please!